No cables. No wires. No distractions. Not only have the cables been removed but the earbuds have been made as small and as light as possible to create the most immersive sound imaginable. Built with high-precision balanced armature speakers for incredible acoustic detail and clarity to deliver a breathtaking audio experience. Smaller, lighter and more wireless than anything else. 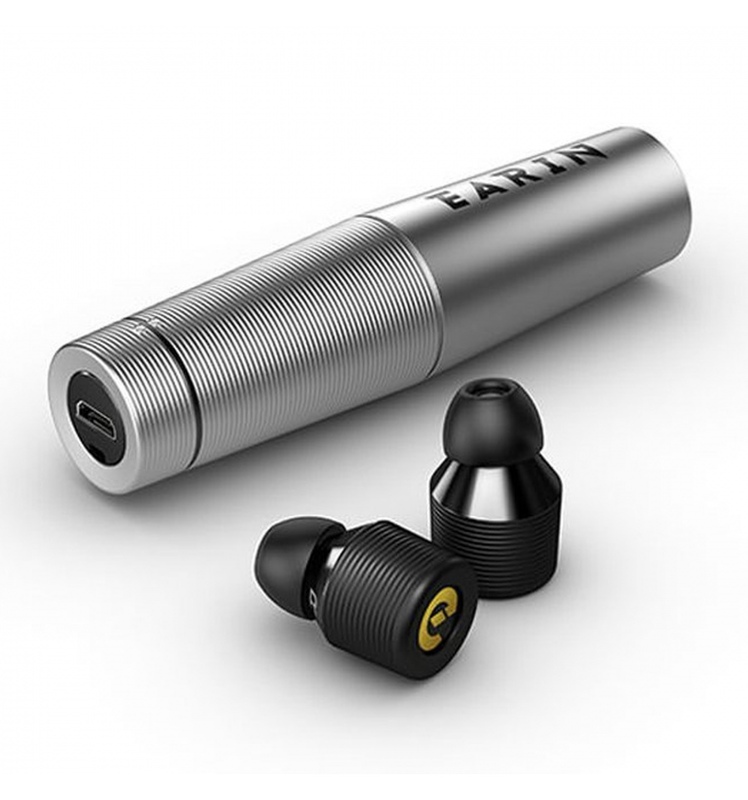 Earin earbuds are built with two dedicated amps driving high-precision balanced armature speakers. The result is an incredibly detailed sound with excellent mid and high-tones, and a tight bass response all reproduced with minimal distortion. Combining our audio expertise with the most advanced wireless and battery technologies available makes Earin unique in wireless audio. No cables, No microphones, No flashing lights. Minimal has been taken to the maximum. To achieve this, every component has been designed and engineered to reduce its size and weight to the absolute minimum. The Earin capsule houses and charges your earbuds when not in use. Simply place the earbuds in the capsule to charge automatically, so they are ready to go when you are. The robust, minimal capsule is machined from a single block of aluminium and is designed to fit as easily into your lifestyle as your pocket. Earin® is the new definition for wireless audio.